China announced Monday it will launch a crackdown on all fentanyl-like substances from May 1 following US pleas for Beijing to control a drug fuelling a deadly opioid crisis. Fentanyl. File photo: CBP Photography, via Flickr. The issue has figured in trade talks between the United States and China, with Beijing promising to list any type of fentanyl when presidents Donald Trump and Xi Jinping agreed to a tariff truce in December. “The US is concerned about all variants (of fentanyl), and it has all been resolved,” Liu Yuejin, deputy director of the National Narcotics Control Commission, said at a press conference. 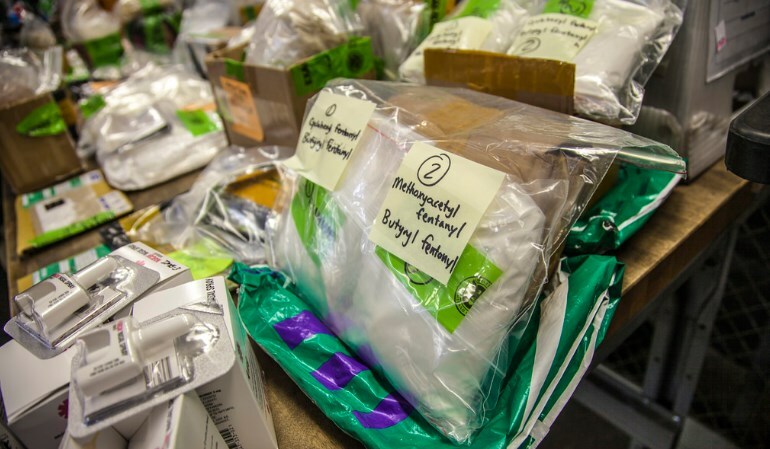 Designating all fentanyl analogues as controlled substances from May 1 aims to prevent smugglers from skirting the law by changing formulas to make drugs similar to the painkiller. Liu outlined further work China would undertake, including inspections of key bio-medical and chemical industrial parks, cleaning up drug-related information online and cutting off criminals’ online communication channels. Chinese authorities will also urge courier companies to implement real-name registration for parcels, stepping up customs checks for high-risk international packages and enhancing enforcement co-operation. Sellers often ship fentanyl via express package services. These are big steps which would have a significant impact, said Mike Vigil, former head of international operations for the US Drug Enforcement Administration. China produces 85 percent of the world’s synthetic opioids, he said. 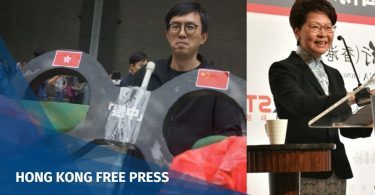 “Without China’s co-operation the United States would not be able to put a dent in the current opioid epidemic that has taken so many lives,” Vigil told AFP. American officials attending the press conference declined to comment. Wang Hesheng, deputy director of China’s National Health Commission, indicated some analogues of fentanyl with legitimate medicinal, industrial and scientific purposes would not be included in the listing. In December, Trump said the move against the “horror drug” could be a “game changer” because China has the death penalty for major narcotics offences. 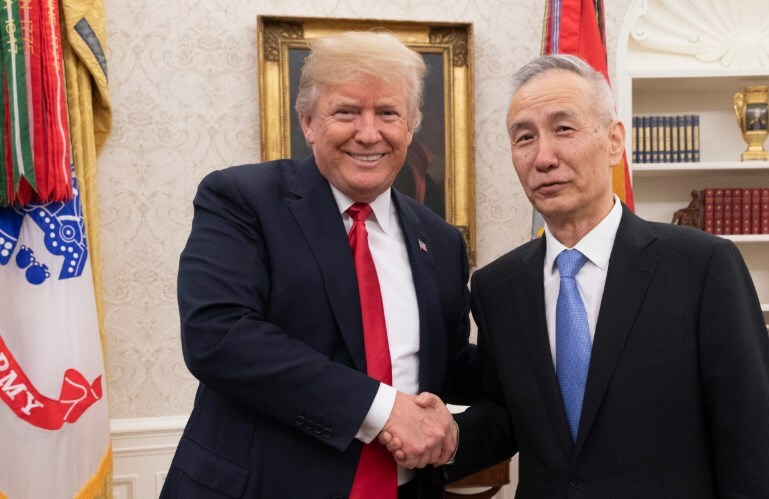 The action comes as China’s top trade negotiator, Vice Premier Liu He, prepares to return to Washington this week for more talks following discussions in Beijing last week. “The Chinese government will step up co-operation with other countries including the US to join hands to tackle the global challenge fentanyl presents,” Liu Yuejin said. Still Liu repeated China’s denial of responsibility for the US’s deadly opioid crisis, saying US allegations of large scale trafficking from China “lack evidence and are contrary to the facts”. 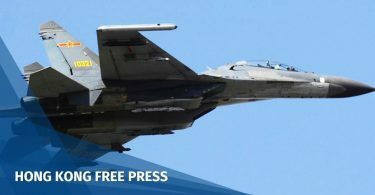 Admitting the existence of some cases of Chinese and American criminals working together, Liu said the “amount was extremely limited,” and China “cannot possibly be the major source to the US”. Instead, Liu blamed American’s abuse of prescription opioids, pharmaceutical industry influence, US pharmacies and doctors “excessive prescription”, lax enforcement and American culture conflating drugs with “freedom, individuality and liberation”. “If the US really wants to resolve the fentanyl substance problem, they have more work to do domestically,” he said. Vigil agreed that “corporate greed in pharmaceutical industry” and overprescription of opioids had driven a lot of the epidemic in the US. “If China stems the movement of fentanyl and other synthetic opioids to the United States it would have a huge impact, but it would not stop the epidemic,” he said, adding American politicians need to take action. The US Justice Department has indicted several Chinese individuals on allegations of manufacturing and distributing illegal drugs. Asked about the cases, Liu said China was working with US law enforcement, but had not found evidence that the individuals had broken Chinese law. Diplomats invited to attend the briefing said Beijing’s action marked an important step for combatting the drug trade. “What China did today was extremely important,” said Stefan Thorsell, a police and customs liaison officer for the Swedish embassy in Beijing. “Even though Sweden is a small country we have problems, not as big as the United States, but we have problems with fentanyl as well,” he said.